If this is your first visit to our site we strongly encourage you start with How Your Fertility Works, and then move on to the other tutorials. Understanding the pain of infertility is not a difficult task for me. I also know it’s the same for reams of other women and men who desperately want a family. What concerned me when undergoing treatment was that I hadn’t been given any details on diet or lifestyle choices and neither was I shown how to assess my own fertility. Thus I felt as if I was facing a blank wall with no knowledge about my body and no real power with regards to how best to work with it. Due to complications which have limited my ability to use hormonal contraception, I have taken a self-taught approach to using symptom-thermal methods. I have used these methods happily for over two years, both to avoid pregnancy, but also when I planned to conceive my (now 10-month-old) daughter.I found learning about NFP to be fascinating and wholly empowering to use. I feel it would be a privilege to pass on this knowledge to anyone who is interested in avoiding or achieving pregnancy in a natural way, avoiding use of hormones/chemicals. 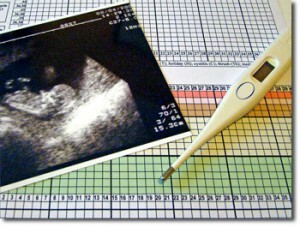 I learned about charting my fertile signs about 17 years ago soon after I married and was trying to conceive. I found it fascinating and wondered why I had never been taught this. It deﬁnitely helped us conceive my eldest daughter (now 15 years old) without needing medical intervention in spite of having sub-fertility. Naturally, it helped me conceive my second daughter, too.There are not many women in Israel teaching charting (of any method) although awareness is growing. In addition to teaching women who come to me for help with fertility issues, I want to educate all women to recognise their fertile signs whether they are trying to avoid or achieve pregnancy. I recall my excitement and amazement when first discovering the “secrets” of NFP at the age of 18. Since then, NFP has served me well throughout my reproductive years and the menopause. I feel that all women should understand what is happening to their bodies throughout each cycle and each phase of their lives. The added bonus to understanding being, they can use this to take control of their fertility in planning their families. Using NFP throughout the menopause years helped me to cope with the inevitable symptoms and reassured me that the bodily changes were a normal and natural progression and nothing to be concerned about.